Grew up with Sakalai Vilnius (Lithuania) youth teams. Made his debut with Sakalai during the 2006-07 season. Signed for the 2007-08 season by Lietuvos rytas Vilnius. Signed for the 2008-09 season by Perlas Vilnius, NKL. Signed for the 2009-10 season by Lietuvos rytas Vilnius. Signed for the 2011-12 season by Rudupis Prienai. 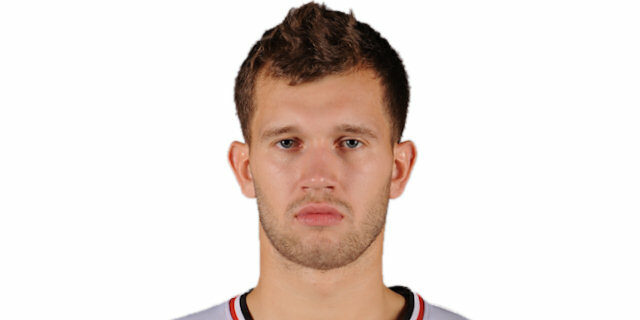 Signed for the 2012-13 season by Lietuvos rytas Vilnius. Won the 2009-10 Lithuanian National Championship with Lietuvos ryats Vilnius. Played at the 2005 European U-16 Championship.